Your seminary welcomes you to join us for this family event at Wisconsin Lutheran Seminary. Come explore the beautiful WLS campus in a 5K run/walk and Kid’s Dash. We invite you to stay afterwards for a FREE Cookout Lunch and to take a tour. Weather permitting, we will have a free bounce house and face painting. The Kid’s Dash is appropriate for children grades K – 5 and will be timed. See you on Saturday, May 4th! 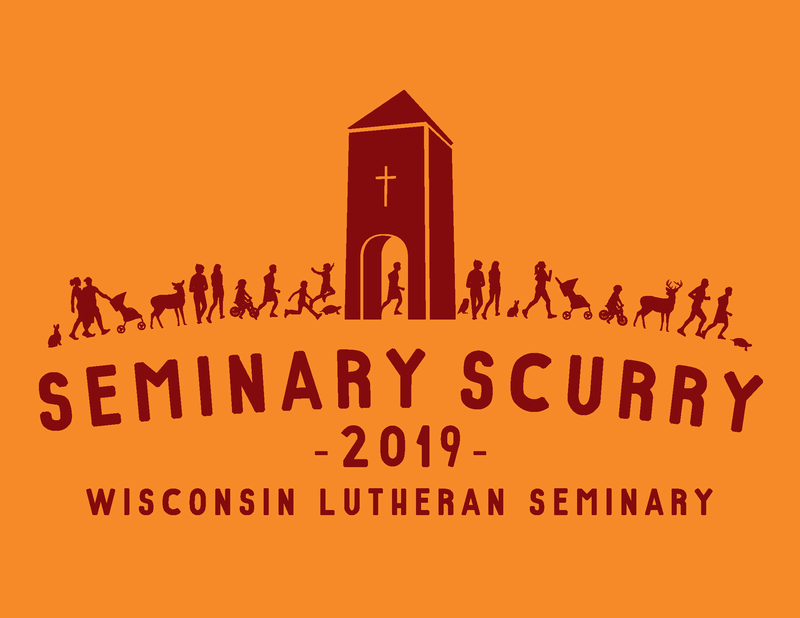 Click here to register for Seminary Scurry 2019. Please fill out a registration form for each individual participant, kindergarten and above. Online registration will close on Wednesday, May 1st. Participants wishing to sign up after May 1st may register on the day of the event. T-shirts cannot be guaranteed to those registering after April 15th. T-shirt and lunch are included for all registered participants. All fees are due at time of registration. WLS is located at 11831 N Seminary Dr., Mequon, WI 53092. All runners must check in prior to race. Vehicles should enter from the Buntrock Avenue entrance. Entrance from Freistadt Rd. will be closed. Parking is located south of gymnasium. Check-In is located inside the gymnasium. Please enter from the East Entrance. 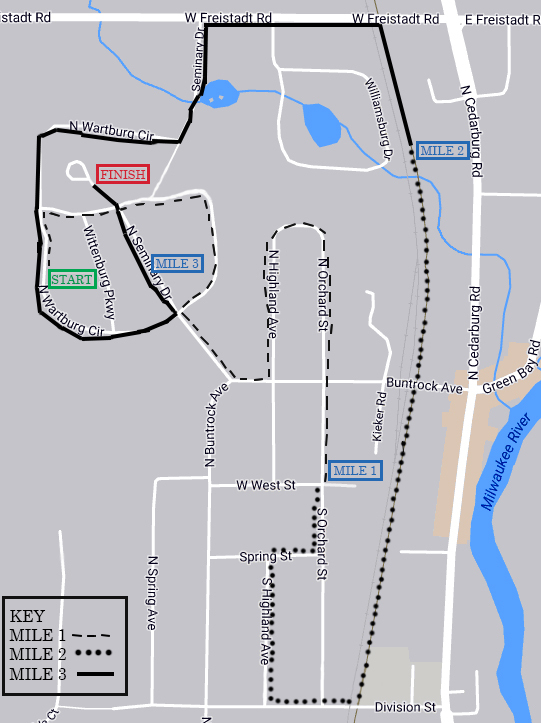 Kid’s Dash is a 1/2 mile run that takes place entirely on WLS’s Campus. It will be timed. 5k Race starts and finishes at WLS. Service locations at mile splits will provide water and medical aid. Prohibitions: no roller-skates, skateboards, scooters, or bikes. 5k will be chip timed. Kid’s Dash will be chip timed.